My rating: 9/10. Excellent watch, minimalist design. Today I’m doing a Daniel Wellington 0204DW review. 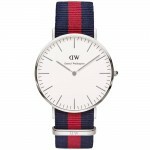 When it comes to minimalist design Daniel Wellington are really leading the way with their trendy in demand timepieces. 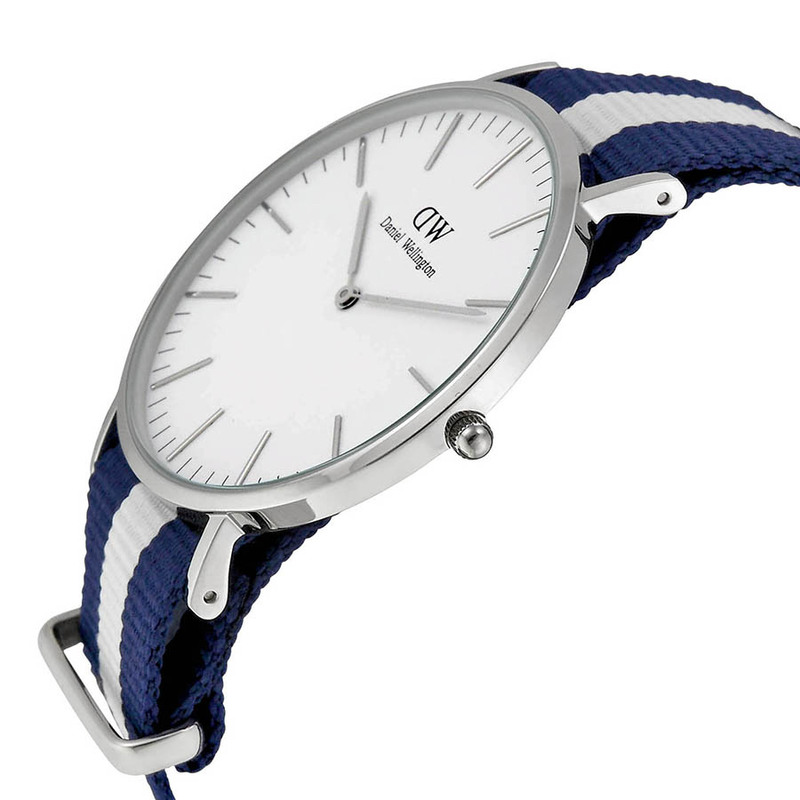 As with many of the other models in their collection this watch has that typical elegant slim design with a comfortable nylon strap. The watch oozes class without coming across too formal and it’s easy to see why Daniel Wellington have been just so successful with their range of watches. 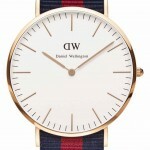 You may also like my 10 best Daniel Wellington watches for men. 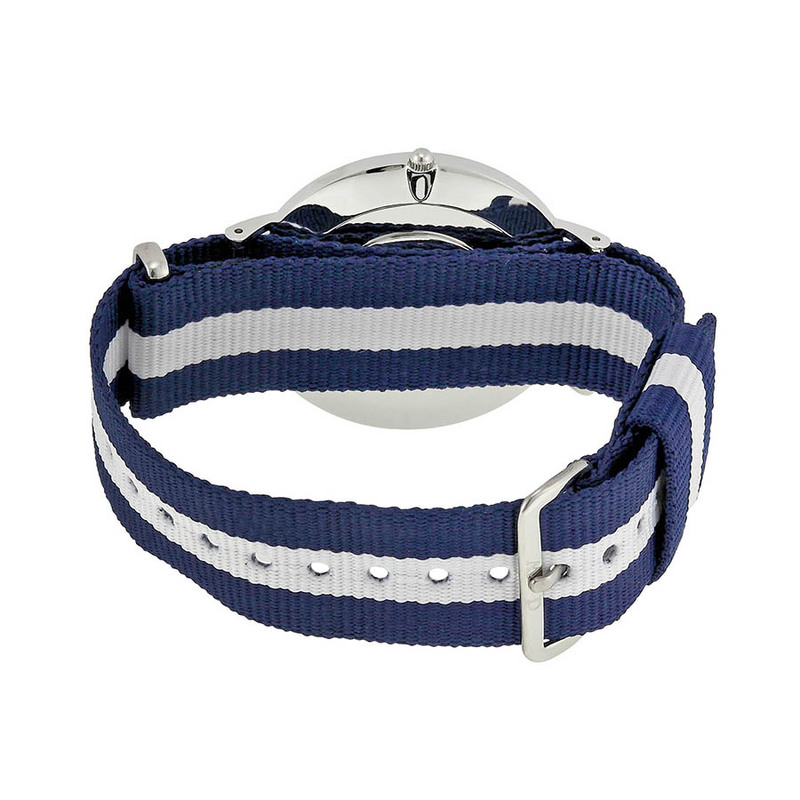 Band Multi colour nylon fabric strap, standard length, 20mm width, standard buckle clasp. Case Stainless steel casing, sizing diameter: 40 mm and thickness: 6 mm. Dial Large clean easy to read display. Mineral glass is specially hardened and offers a good level of protection from scratches. Movement Japanese quartz movement with analogue display. Extra slim and lightweight design is perfect for those after a minimalist watch. The clean uncluttered dial is extra easy to read. 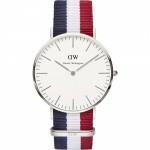 Daniel Wellington are a very trendy brand at the moment and in high demand. Due to it’s minimalist design this watch lacks features like a date display or luminous hands. 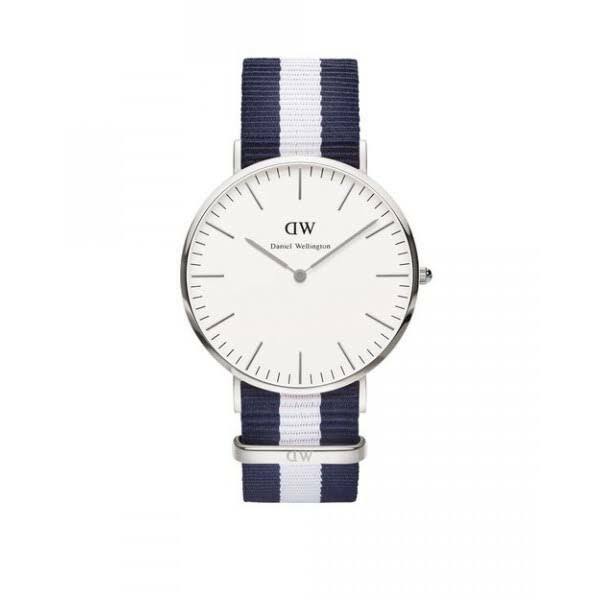 The Daniel Wellington 0204DW0 is ideal for those seeking something elegant yet timeless. It’s great to see a popular stunning looking watch for such an affordable price. It’s true to see it lacks other features that you can find in plenty of other watches in this price range but that’s part of the deal when you go for this minimalist style. I’ve always been a big fan of the Daniel Wellington brand as I feel they offer good value for money for their watches, so I’m always happy to recommend them. Hope you enjoyed this Daniel Wellington 0204DW review. Find more watch reviews below.